The end of the year usually brings the retirement (or at least the stock exhaustion beforehand) of 100s of Lego sets. If you are lucky, you stocked up on these exact sets throughout the year at really low prices and are not struggling to grab them at retail in the final minutes before they are gone for good and before the price skyrockets on them (assuming they were winners). With this, brings a brand new year, brand new Lego sets, and most importantly, brand new retirement targets: Sets that should be gone at the end of the year and need to be stocked up on. Here I want to offer up my picks for this next year as the ones I will be looking at. I do not want to act like all of mine are going to be right - so make sure you comment and offer up yours as well. This blog is going to cover the Star Wars sets I will be looking to make sure I have in my collection. Let's get it started! Explanation: This set is awesome. I did a blog when I built it a while back, http://blog.brickpicker.com/the-mighty-rancor-monster-profits-or-will-the-metal-gate-drop-on-your-investment/, and my thoughts on the set honestly have only grown. While I do think it is somewhat pushed by having Jabba's Palace, and is not particularly impressive as a set on its own, it still has the one factor that really matters - The Rancor. This mega-figure is incredible and being exclusive, it will be sought after for a long time. I have parted out a few of these sets (honestly the set is not a good part out set at all) and was able to get $28 for the Rancor by itself. I think it will continue to drive this set into investment and will most likely not be in another set - possibly ever. This figure should end up being a $50 figure or more after retirement, so I do not think there will be a problem with the rest of the set helping it to the $100 mark. Another big part is the possible perceived success of Jabba's Palace 9516. This set did really well during Christmas and from the time is went OOS has risen up to above retail. With this set fresh on people's minds when the Rancor Pit retires, there will be a lot of people who want it. I think these two are also a good target for selling together. Normally selling sets together means you will get less, but on Ebay using Buy It Now, you can sometimes make it easier for people to bite if you are selling two things they want together. I think these two sets obviously fit together about as well as any others. The only real knock on the pit is that the other figures just are not that great. The Gammorrean guard is not a bad figure, but doesn't have a weapon or anything which somewhat devalues him (he has one in 9516). Malakili has really been a do nothing figure, and luke with the bone I find pretty unimpressive. However, the Rancor will take care of all that. Do not get caught without this set (and multiples at that). It is no secret that clone wars stuff does not really live up to original trilogy Star Wars stuff. Hopefully we wont be saying the same thing about the third trilogy as well. However, there have to be some winners some where in there and if you don't take chances, you wont ever hit it big on one of those surprise sleepers. To me, this is the best built set to do it on. First off, the set has a really good array of figures. The General Grievous figure is excellent - much better than the original and sells for around 20$ on Ebay. Padme is another solid figure who sells pretty well at around 10$ (all of the Padme's and Amidala figures sell well). You also get a clone wars anakin, two droids and Dooku. The ship itself is really large and is really solidly built. With the amount of Star Wars refreshes, I think a unique and impressive large vehicle like this may make a splash. Along with the figures, this makes it a solid choice. I am still somewhat bullish on Star Wars though so this is one I will be buying as cheap as possible and will not be afraid to pass. I feel like $120 may be a little much for this set, but for a long time it was not hard to find at 80$ and I feel it will go back that way. It was a popular set during Christmas which makes me feel good about its long term growth. It will not be a crazy gainer in my eyes, but has some definite potential with a minimal risk. Do not let my target level of "low" fool you - this set is a winner and I want a lot of them. However, with the way things are at the moment, this one probably wont retire for a long time. However, you do not want to take a chance on not having some of a legendary set and in my eyes, this is one of those sets. The UCS sets have a history of doing well, and the Darth Maul bust was one of the best of them. R2-D2 is more iconic that Maul in my eyes. The set itself looks almost like its a robot as it is so solid and real looking. Its an instant classic as a display piece and it appeals to about every age group. R2-D2 is going to be in the new movies as well. Another big part: no discounts on exclusives. We have seen in the later part of this year that Lego was serious about this. I think we will see a lot of investors stop fulling with exclusives as much and focus on smaller sets they can find for 30-40% off. 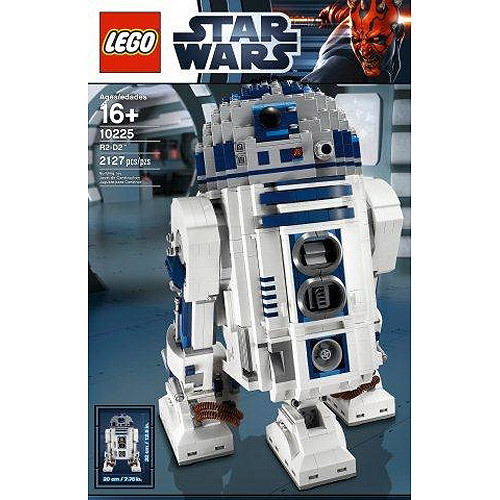 R2-D2 is worth it at retail though, do not be fooled. I will most likely target him during a double VIP, if it happens, or if there is another really good exclusive polybag from Lego like the VW. Eitherway, if you get caught without these and the set does go away, you are going to be really upset. So make sure you do not to hesitate picking these up . Name a 3500+ piece set that did not do well. 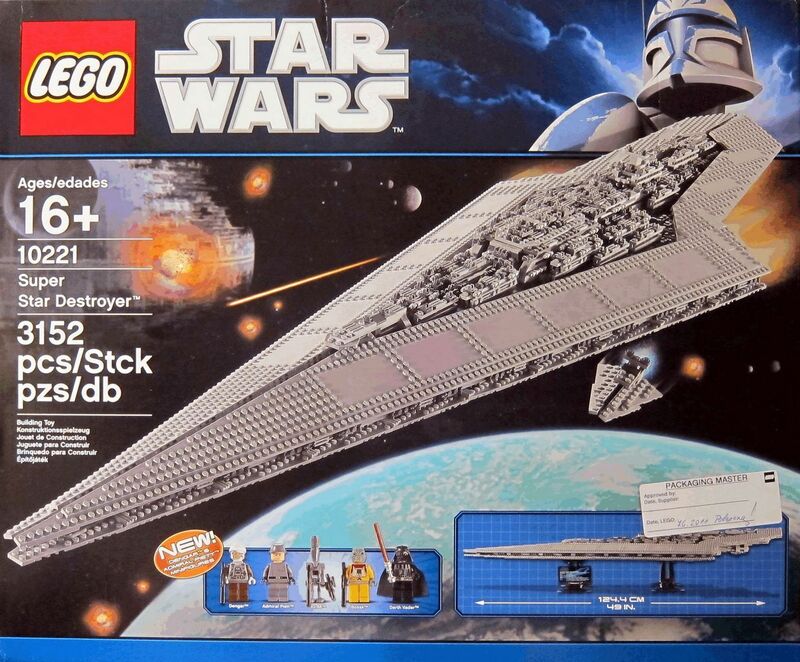 If there is one, I do not really care because it was not a freaking Super Star Destroyer. This thing is going to absolutely murder in the secondary market. The set itself is incredibly large, has a ton of really large pieces, as absolutely draws everyone to it when it is in a room. 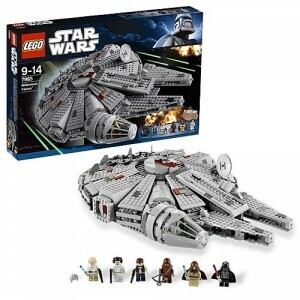 You can not have a better set around besides 10179 than this set. A lot of us were hoping this set was done at the end of this year, and really it may still be on the way out. Either way, I think there is a decent chance it will be gone soon and want to make sure I have a good few of them. This is probably one of the few sets left out there that still has a shot at $1000 some day. Just "mild" though? Well, you have to remember to consider ROI (return on Investment) here. If you drop $400 on a set, it better do really well. We would all like to get these at $300, but with the ban on exclusive discounts, it just is not happening. So I wont go crazy. I could spend that $400 on a lot of small sets that may gain a lot faster than the $400. Also this set weighs about 1 billion pounds which makes it hard to ship. Still, you can not pass up the chance to get that kind of money out of one set. Watch out for combination deals this year. I think a lot more retailers will take up after TRU and start it. If you have a store somewhere, these are your best deals out there and can definitely help recover some of that massive capital. The rumor is this will be out until 2015 with the new movies - and chances are that is right. So why am I targeting it? First and foremost, I think the set is a winner and I want to make sure I do not get shut out. 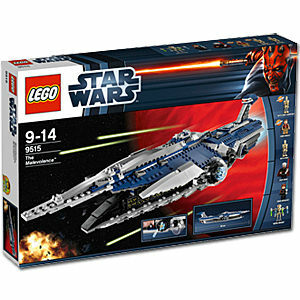 However, this Christmas, these sets were super sought after and rose up to about $170. During the year, it was not particularly hard to get these sets at sub-100 prices. Since it was coming back, I sold a bunch of these off and made good money during Christmas. I expect next Christmas could be even better as some could see the set as possibly gone and the panic buying will commence. The set itself is huge and has a lot of play-set variety. While it is not incredibly different from prior falcons, the set is iconic enough and a good mid level for the people who can not afford 10179. If it goes out of stock again next Christmas, I will be ready to bring on the flipping. Let's hear it guys. Any Star Wars sets I missed that could retire at the end of the year and are winners? Very nice evaluation. I would also include the AT-RT because it will most definately double in value. It has Yoda in it plus a clone trooper and the walker. Good for army building and parting out. The gunship is also showing positive returns already so better to watch out for that one also. That is a pretty good list. I'm not sure if the Rancor Pit will be retired anytime soon though. I just flipped a Malevolence this weekend, I was able to get in at half (Canadian) off. Wish I had bought the other one on the shelf too, but I didn't drive. I think you have to include the recent Tie Fighter. It is a remake but the only one of this vehicle so far and the first one came out over 10 years ago. It comes with 4 figures that are great for army building, it is vastly superior to the first version (bigger, more accurate colour scheme), and it's a TIE FIGHTER, one of the most iconic ships in the original trilogy. There's almost no point having an X-Wing without a Tie to chase it, and preferably 3 since they usually fly in groups of three as any veteran of the X-wing video games would know. I bought a bunch at Target at more than 50% off (about $35 CDN) and can easily see this set hitting over $100 from a CDN retail of $80. For small sets, the Corporate Tank with Jango Fett is a must. Jango hasn't been available for 10 years. Similarly, the Mandalorian/Darth Maul set is worth it for the figures alone. What about Jabba's Palace? It was mentioned under the Rancor Pit heading, but doesn't it deserve it's own spot on the list? (Or is it not due to retire any time soon?) PS - Jeff, when was the Target 50% off sale on SW sets (in Canada)? Target, like Walmart, seems to run clearance sales every 3 months or so. So it's not that they are selling a theme at 50% off, but just what they have to clear out. I happened to be in a Target in September and found 4 Ties and other sets for 50% off. I didn't see any Ties at the other Target stores I visited the same day. At the start of December I got a lot of Lone Ranger and Lord of the Rings sets at the one location I went to but nothing at another one. So it pays to visit your Targets on a semi regular basis. I didn't mention Jabba's Palace because I am assuming it is done - at least in retail stores. I am not targeting it because I already have a good amount and I don't think it will be a big one for this year. Now I could be wrong and it could come back. However, if it did that would definitely hurt its investment potential as well. Well there's always the Death Star, but I suppose that's been talked to death already. For some reason I can't get on board with the SSD for the cons you mentioned. For 400 I'd rather have another DS, 2 R2D2s, or 2 HH. On that list the R2d2 is the one I am accumulating the most. I like your target purchase and sale prices. I bought 10 of the Malevolence when Asda had them for £59.98 and I was beginning to wish that I left them there. However, this well written article has given me some hope. Thanks! I also bought a couple of SSDs from Amazon France when they were about £250 each. 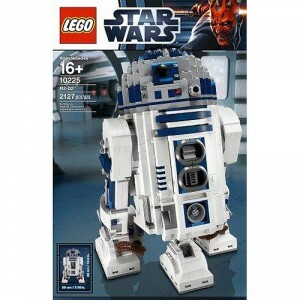 I also have bought a couple of R2-D2s during double VIP and !0% off £100 spend. The R2-D2 will go for really silly money post EOL and I'll be getting more when discounted again.